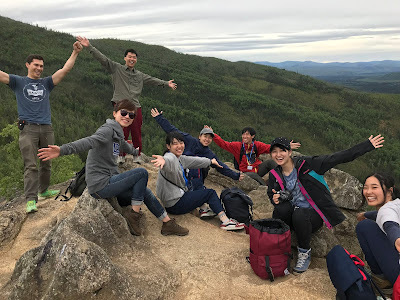 The Hokkaido group and Miho Morimoto celebrate after hiking Angel Rocks. 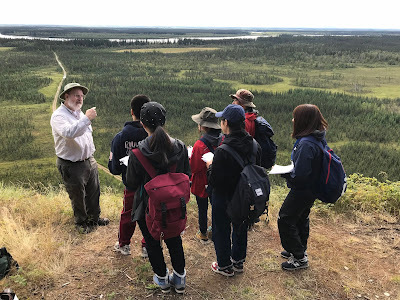 For the third year, School of Natural Resources and Extension hosted the 10-day Alaska Natural Resources Sustainability Field Seminar, which ended last Friday. Participants included two professors and six students from Hokkaido University. Postdoctoral researcher Miho Morimoto led most of the tour, with help from SNRE Academic Director Dave Valentine. The seminar combined lectures by scientists and field tours. 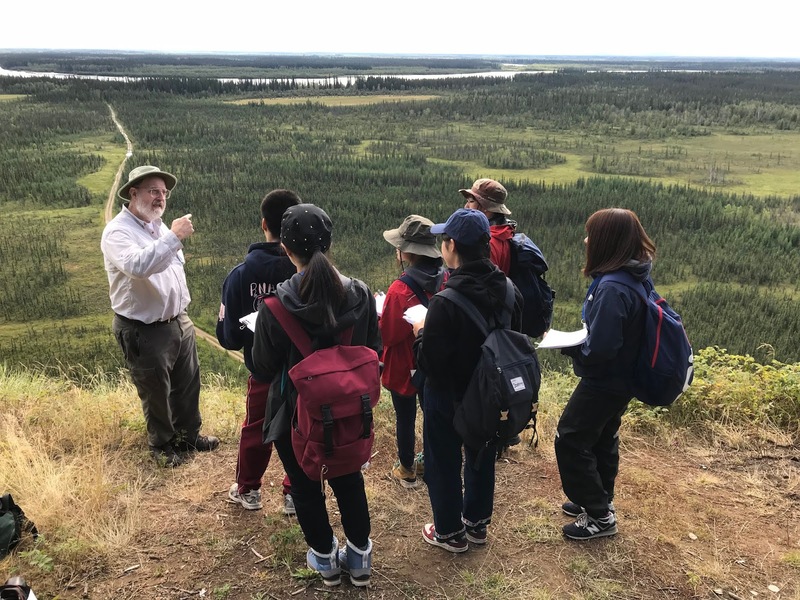 Subjects included wildlife management, cold climate housing and energy, forest regeneration, the aurora, sustainability, the pipeline, permafrost, the changing boreal forest, agriculture, birch syrup, forest management and fisheries. The Japanese contingent toured the Bonanza Creek Experimental Forest, the Permafrost Tunnel near Fox, forestry research plots at UAF, the gold dredge at Chatanika, the University of Alaska Museum of the North and Poker Flat Research Range, and the group rode a shuttle bus into Denali National Park. SNRE lecturers included Valentine, Milan Shipka, Mingchu Zhang, Glenn Juday and Jan Dawe. Valentine said the Japanese professors say the smaller group this year is due to a schedule conflict. The visiting faculty were upbeat about the program and want to return again, he said. They are committed to marketing it in the future.